These branches hold their own meetings throughout the year. Anyone interested in bees is welcome to attend. Most branches have their own websites containing more detailed information. See our Contact Us page for details of your nearest branch. NHBKA Bee Clinic May 2, 2019 at 6:30 pm – 9:00 pm Bucks Head, Stevenage Rd, Little Wymondley SG4 7HY, Informal meeting to discuss bee related issues. Hosted by Chris Mercer and Gary Hammond, all members of NHBKA welcome. NHBKA Walsworth Festival May 19, 2019 at 9:00 am – 3:00 pm Walsworth Common, Woolgrove Rd, Hitchin SG4 0BZ, UK Drop by to talk about bees, buy honey and see our observation hive. 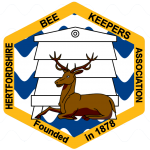 NHBKA Stevenage Day fair June 9, 2019 at 10:00 am – 4:00 pm Saint Georges Way, St. Georges Way, Stevenage SG1, UK We will be attending the Stevenage Day fair to show our bees, talk about beekeeping and selling honey. NHBKA Pirton Open Gardens June 9, 2019 at 11:00 am – 4:00 pm Pirton, Hitchin SG5, UK Drop by for our annual visit to Pirton with the North Herts Beekeepers who will be more than happy to talk all about bees and honey. If you want to take up beekeeping then that would be a great time to come and see us.